This product has been viewed 514 times. 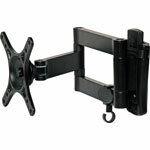 Ideal for LCD monitors in bars, restaurants, hotels, information areas etc. Max distance from wall 420mm. 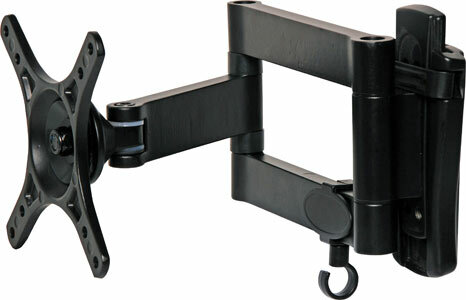 Provides 180° of adjustment and 20° of tilt. Mounting hole centres at 75mm and 100mm square (suits VESA MIS-D 75 & 100). Includes spirit level for easy mounting.